Imagine this: your at-home coffee brewing game is so strong, you brew coffee with coffee. If this sounds crazy to you, you’re not alone. Not a lot of people know about double brewed coffee, but after reading today’s post you’ll be ready to add this unique coffee brewing method to your at-home arsenal. And, you might even impress your friends with your stellar coffee knowledge, too. Using either of these methods gives you a bolder coffee flavor and a stronger caffeine kick. So if you love coffee that puts Brawny-like hair on your chest, or you’re looking for enough caffeine to keep a med-school student alive, double brewed coffee is the method for you. We’ll get to the how-to soon, but first, let’s look at some uses of double brewed coffee to help you up your coffee game. When the summer heat rolls in, the iced coffee pictures on Instagram come out in full force. But if you’ve ever tried to save the $4 and make your own iced coffee, you’ve probably been disappointed. Even if you make a mean cup of hot coffee, iced coffee at home is usually lacking. But don’t worry! It’s not your fault. Adding water to your coffee (in the form of ice cubes) naturally puts a damper on the coffee flavor. Double brewed coffee makes up for this lack by giving a much bolder coffee flavor. So even when you add your ice (or creamer or sweeteners), the coffee flavor stands out. How? It’s simple. Since you’ve doubled the amount of coffee, you’ve also strengthened the coffee flavor. You could use one of our other methods to make iced coffee, but if you want something quick try double brew instead. Those ice cubes don’t stand a chance against your double brewed coffee. Once you perfect the double brew, you can have an Instagram-worthy picture AND an awesome iced coffee. Iced coffee is the most popular drink made with double brewed coffee, but you can also try double brew for any specialty drink that normally requires espresso. Replacing espresso with double brewed coffee works because espresso drinks need a strong coffee flavor. Double brewed coffee provides just that. A lot goes in to making a velvety rich espresso. 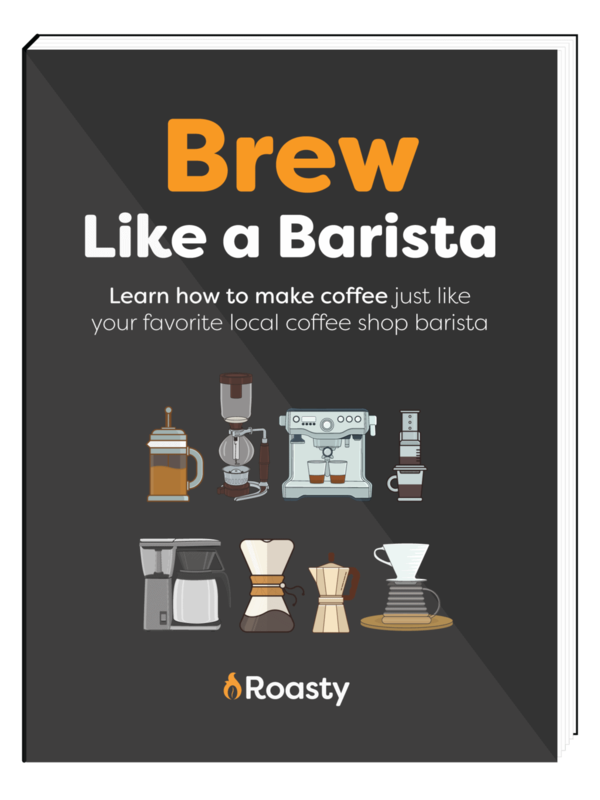 But if you’re not ready to take on that challenge at home yet, consider making your lattes, mochas, breves, and other espresso drinks with double brewed coffee instead. As most coffee lovers know, we’re as addicted to the flavor as we are to the caffeine. That’s why double brewed coffee could be your new best friend. 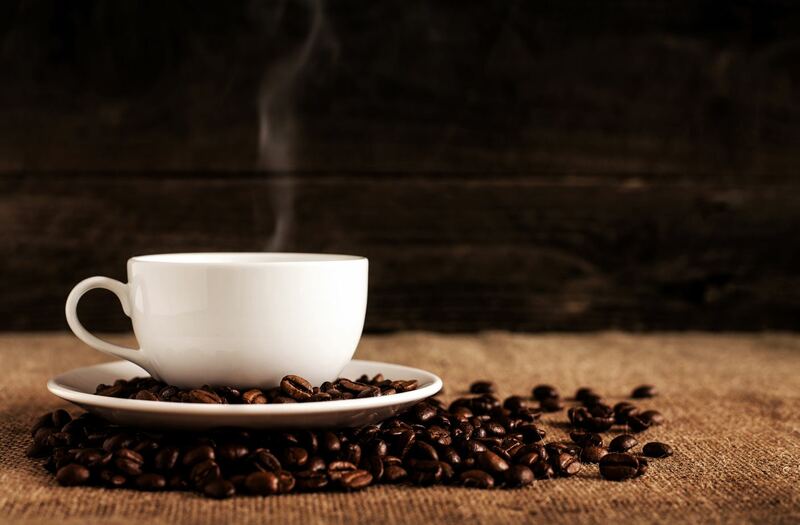 Essentially, you’re getting at least twice the amount of caffeine since you’re either doubling the amount of ground coffee OR the amount of overall coffee (using already brewed coffee instead of water). But that’s not all. As we’ll talk about below, the way you achieve double brewed coffee usually involves two different appliances. And each of these brings out a different amount of caffeine. Keep in mind that if you’re sensitive to caffeine, double brewed coffee might be too strong for you. But on the days you really need a coffee-flavored kick in the pants, go for it with one of the double brew methods below. How Do I Double Brew Coffee? It’s the moment you’ve been waiting for – we’re finally going to tell you how to double brew coffee. So buckle your seatbelts and let’s (finally) get started. This method works best for drip coffee makers, but make sure your automatic machine can handle more than the normal amount of grounds first! It’s quick and easy, the best option for the beginner at-home barista. If you don’t measure your coffee using a scale, we’d usually recommend 2 tablespoons of coffee grinds for every 6 ounces of water. So for double brew, you will simply use 4 tablespoons for every 6 ounces of water. And voila, there you have it – double brewed coffee the simple way. If you’re ready to try something slightly more challenging, this version of double brewed coffee is for you. A couple successful brewing methods involve the percolator, but avoid putting your new grounds into an already hot basket. The heat messes up the flavor big time, so treat the percolator as you normally would and use only a cooled basket. Occasionally coffee grinds make it through your filter or mesh and wind up in your cup. These leftover grinds can easily mess up your drip coffee maker since they are much thicker than water. So, we recommend using a drip coffee maker only for your first round of double brewed coffee. Make coffee the way you normally would using your drip coffee maker. Then, use the coffee you made from your drip machine instead of water in either a French press or a percolator. Pro Tip: Starting with drip coffee is the best method for creating a bold, full-flavored double brew coffee. Make coffee the way you normally would using your percolator. Let the basket cool and then do the process again, using the coffee instead of water. OR, use a French press on your second round of coffee. Pro Tip: Using a French press for your second round of coffee tends to create the richest double brewed coffee. Brewed coffee is good. Double brewed coffee is gold. For more combinations on making double brewed coffee, check out this Tumblr post. And then try your hand at making it yourself.